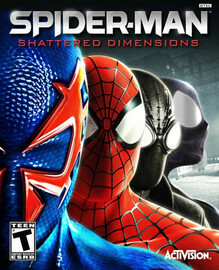 Spider-Man: Shattered Dimensions was initially delisted from Xbox 360 Games on Demand on January 1st, 2014 alongside several other Spider-Man and X-Men titles published by Activision. The game was first relisted no later than August 10th, 2015 on Xbox 360 ahead of its Steam release on October 23rd, 2015. It was next released as a PlayStation Store download for PlayStation 3 on December 15th, 2015. Spider-Man: Shattered Dimensions was then delisted for a second time on March 31st, 2017 on Steam. It was last confirmed available on Xbox 360 on March 23rd but it was presumably delisted on Xbox 360 and PlayStation 3 around March 31st. This delisting was once again due to Activision’s license of Spider-Man though the timeframe differs from typical delistings that happen on 2, 3, or 5 year cycles. In Shattered Dimensions’ case it was delisted approximately a year and a half after it reappeared. All of the titles above were delisted alongside Activision’s Deadpool game which itself was relisted in 2015 before being delisted again in 2017. Activision’s more recent games based on Sony Pictures The Amazing Spider-Man movies were not delisted in 2014. Presumably, these two were secured under the original 2005 deal or a subsequent deal with Sony Pictures that may have expired in 2016, clearing the way for Insomniac’s Spider-Man game. They were ultimately delisted in January of 2017 alongside many of Activision’s Teenage Mutant Ninja Turtles games.